The Fronius Primo in power categories from 3.0 to 8.2 kW perfectly completes the SnapINverter generation. This single-phase, transformerless device is the ideal inverter for private households. 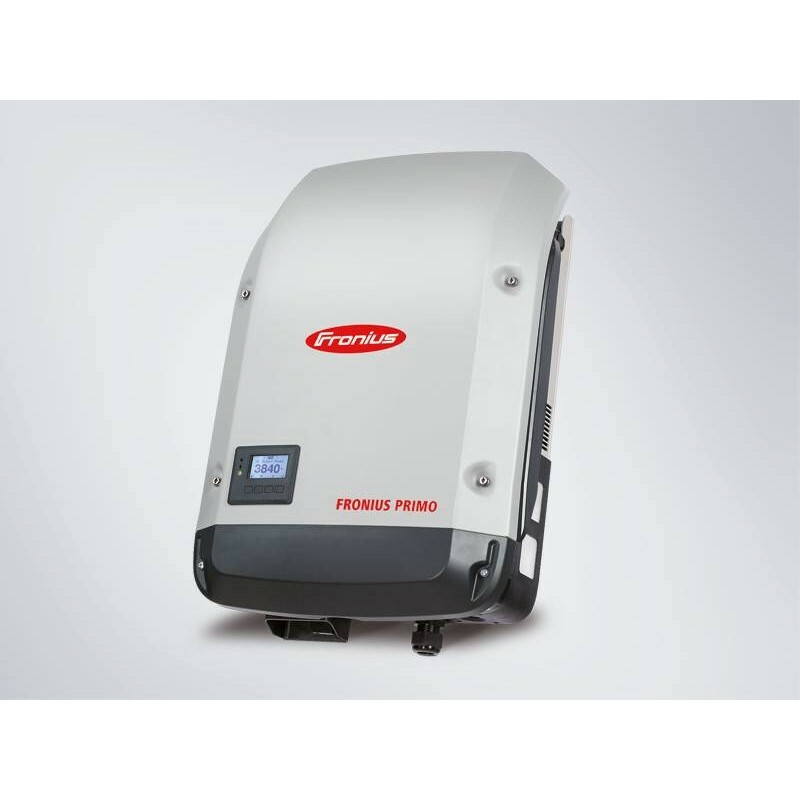 This Fronius Primo 8.2-1 single-phase, 8.2 kW transformerless inverter is the ideal inverter for private households. The innovative SuperFlex Design provides maximum flexibility in system design, while the SnapINverter mounting system makes installation and maintenance easier than ever before. The communication package included as standard, with WLAN, energy management, many interfaces and much more besides, makes the Fronius Primo a communicative inverter for owner-occupiers.